The scuzzy story of the founders of Norwegian Black Metal. In the late '80s and early '90s, moral guardians (aka right wing hate groups) insisted that the world was under siege from Satanists, who they claimed were using Heavy Metal to turn teenagers into devil worshipping homicidal maniacs. In 1990, British rockers Judas Priest were the subject of an infamous court case brought about by parents who blamed the band for their son's suicide, insisting that when played backwards, a track on one of their albums intoned the instruction "do it!" In 1994, three young Metal fans were wrongly convicted of the murders of three children in Arkansas, scapegoated because of their love of Metal's dark imagery. The truth was, most Heavy Metal fans of the era were perfectly normal, decent people who wouldn't harm a fly. Except in Norway. Lords of Chaos tells the notorious story of the founding of Norway's 'Black Metal' scene and its bloody aftermath. In the late '80s, teenage metal fan and all round edge-lord Euronymous (Rory Culkin) founds the country's first Black Metal group, Mayhem, claiming his sound is the blackest of all the various Metal sub-genres, and viewing other forms as Metal as sell-out "party music." An advert for a vocalist is answered by Dead (Jack Kilmer), a Swedish singer with a distinctive growl and a penchant for self-harm. When Dead follows through on his threats to take his own life, Euronymous is the first to find his headless corpse, and rather than calling the authorities, takes a series of polaroids of the corpse, tastes some of Dead's brain matter and makes jewellery from his skull fragments. Rock 'n Roll. As Mayhem's infamy grows, Euronymous sets up a record store and label, taking one-man band Varg Vikernes (Emory Cohen) under his wing. Varg proves a hit on the Oslo Metal scene, eclipsing the success of Mayhem, much to the annoyance of Euronymous. Varg also has a nasty habit of burning down churches, and grows increasingly unstable in his attempts to out-Metal all his rivals. Elsewhere, drummer Faust (Valter Skarsgård) decides to top them all by murdering a gay man in a park at night. Charming. 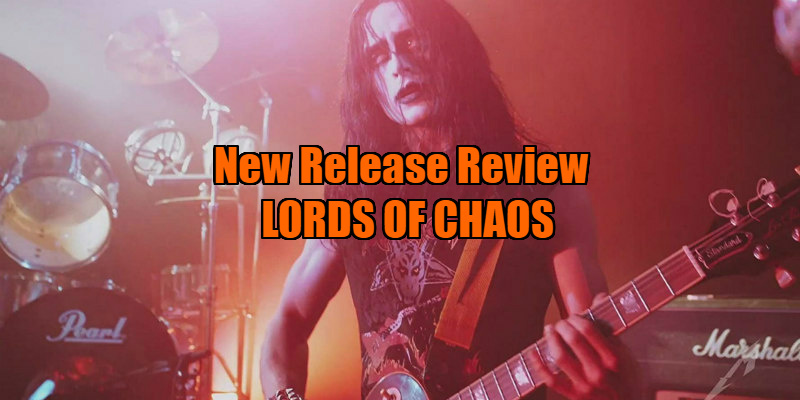 The story of Lords of Chaos is a pretty fascinating tale of how a group of young men were radicalised by a Manson-esque, 'charismatic' leader, but in director Jonas Åkerlund's hands it's a superficial take on some very troubling events. Tonally it's all over the place. Euronymous and co. are portrayed as a bunch of cartoonish buffoons, and some scenes verge on Wayne's World in their parody of the Metal scene. But then the violence is unflinchingly real and gruesome, jarring with the sarcastic, comic tone of the rest of the movie. "These are just dumb kids playing at being edgy," the film keeps implying, a stance negated by the fact that the characters involved actually followed through on their boasts - the last thing you can accuse Euronymous, Varg et al of is a failure to walk the walk. "I'm a typical Norwegian teenager," says Euronymous in an opening narration. It's difficult to overlook the fact that this Norwegian teenager is played by a 30-year-old American. I understand it can be commercial suicide to put out a subtitled movie rather than one starring an English-speaking cast, but in the case of Lords of Chaos, is there really a wide audience for this story to begin with? I suspect nobody is going to watch Lords of Chaos because it stars Rory Culkin, rather they're going to watch it because they have a curiosity about its story. It always bugs me when Anglophone actors are cast in European roles rather than simply giving the role to a native of the country in question, and it's particularly galling here. There's something distinctively Scandinavian about the story it's telling (you might say Euronymous laid the foundation for Anders Breivik), but Lords of Chaos never feels remotely like anything other than watching Americans play dress-up, and the movie has no sense of place. 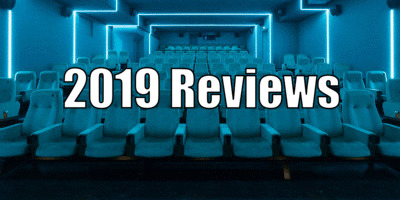 It doesn't help that the filmmakers failed to acquire the rights to the music in question, so those of us unfamiliar with Metal are left in the dark as to what was so distinctive about Norwegian Black Metal. Instead the soundtrack is filled with the sort of music Euronymous constantly bemoans, which is a bit like making a movie about the KKK and having the Klansmen party to Motown. Ultimately, Lords of Chaos leaves you with more questions than answers. Its timeline is rendered in a fashion that makes you question whether its events are taking place over a few weeks or a span of years, and we get no insight into how this bunch of sociopaths were able to get away with their crimes for so long, as any authority figures are absent. Sky Ferreira has a thankless role as a photographer/groupie who seems to be slumming it by bedding Euronymous and Varg, but the film never gives us any clues as to why she might be attracted to such obnoxious gits. 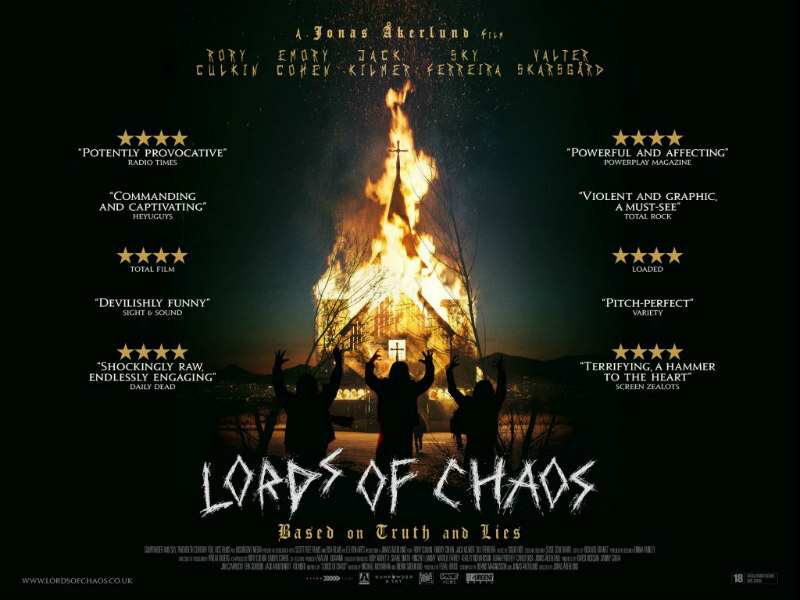 Lords of Chaos is in UK/ROI cinemas March 29th.